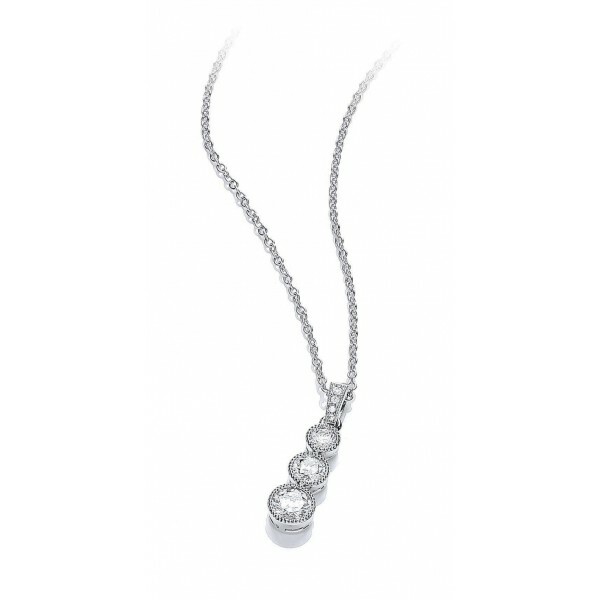 A glittering array of flawless brilliant cut stones make this Buckley London trilogy pendant an exquisite choice for a special evening. This beautiful keepsake plated in pure Rhodium, and delicately suspended on fine belcher chain will illuminate your jewellery collection. 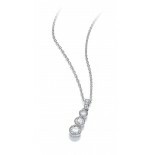 Wear this design alone, or enhance its beauty by wearing it with the matching suite to make it your signature style. Chain length is 40cm with a 5cm extender chain. Matching earrings (CZE983), bangle (CZBA139), bracelet (BT741), and ring (CZR455) are also available.